With your BINGO hostess Miss Pumpkin and all her friends. Once again, we will have prizes for best dressed. 50/50 raffle, and Cash Bar by our friends at The Raven. Careting by Just Food of Buckingham, Pa. Thanks to your participation FACT raises about $36,000.00 annually from our BINGO events. This with the support of a great community, sponsors, BINGO committee and volunteers. 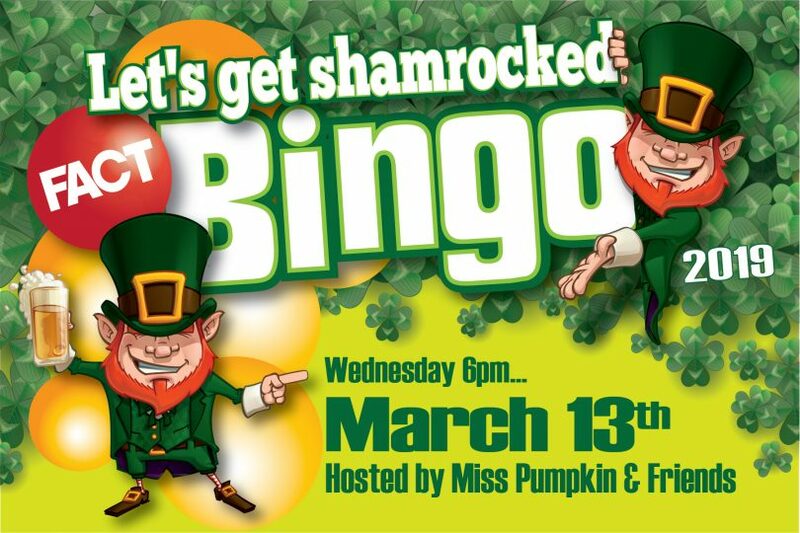 With Bingo and our other events, FACT raises over $120,000.00 annually allowing us to support the financial needs of people living with HIV/AIDS in Bucks, Hunterdon and Mercer Counties and also allows us to distribute grants for education and prevention. Sold Out! Please call to be on waiting list. Early reservations are highly suggested this event sells out quickly. All Sales Final No Refunds or Exchanges.